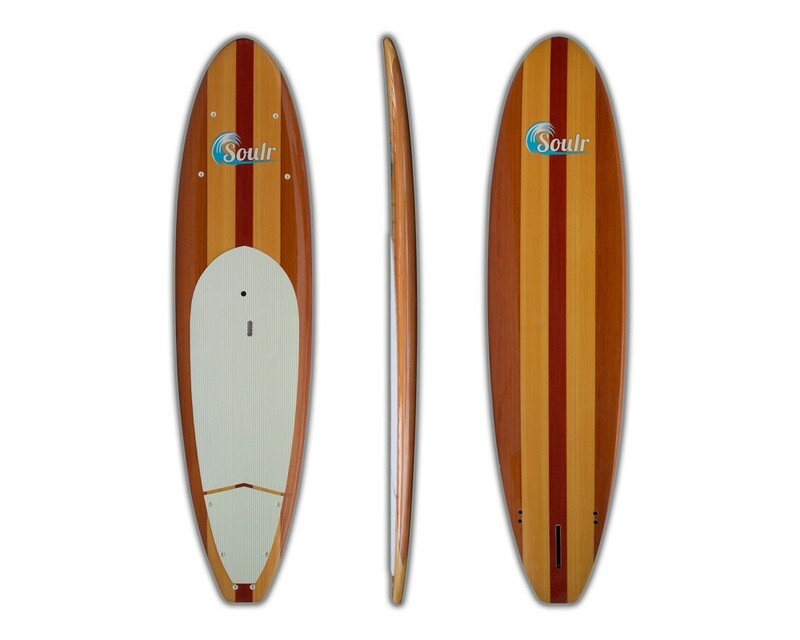 It’s hard to find a board more stunning than our 11’0” 3-tone woody SUP. It features traditional foam/stringer/epoxy construction, completely wrapped in three wood grain laminates which gives you that "Woody Look" without carrying the weight of a log. 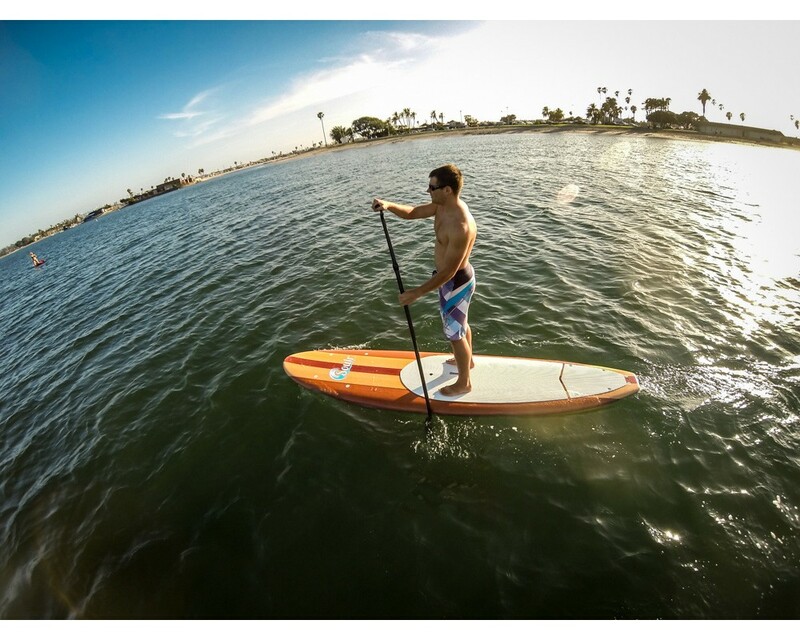 Our unique design sets it apart from the rest; you’ll turn heads both on and off the water with this SUP. But the beauty isn’t just skin deep. We strongly believe form and function go hand-in-hand. 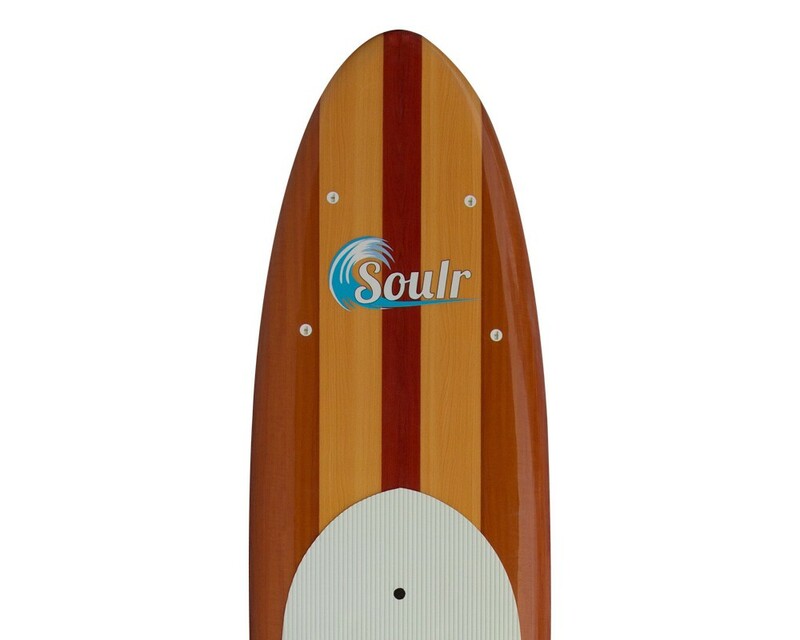 After you set foot on the Soulr 11’0” Woody, you’ll notice how floaty and stable it is. The profile is beginner friendly, yet progressive enough to challenge advanced riders in flat-water, bays, rivers, canals and the open ocean. We've incorporated 4 tie down anchor points on both the nose and tail, so you've got the flexibility to bring a cooler and personal floation devices (PFD's). And the nose has a touch more rocker than your standard flat-water SUP, giving you the option to catch a few mild waves down at the shores. 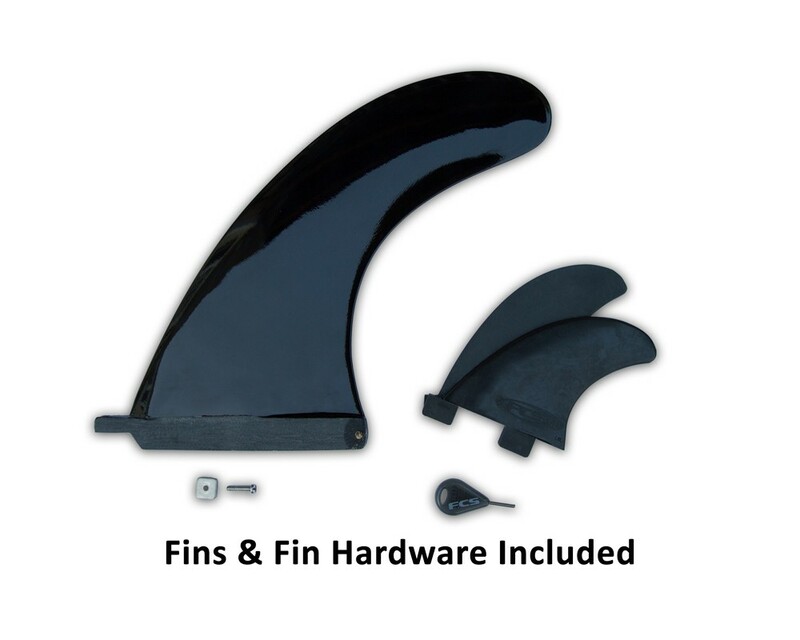 Like every other SUP we make, this paddleboard comes with fins and pre-installed deck grip. 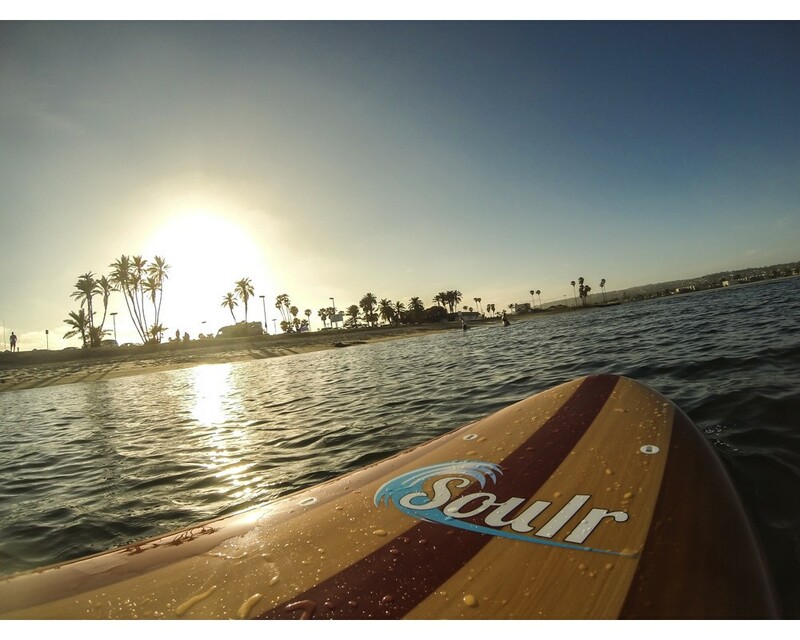 You can purchase the SUP by itself, or you can make it a package with an adjustable carbon fiber paddle, a leash, a SUP travel bag and a nylon case for the paddle. 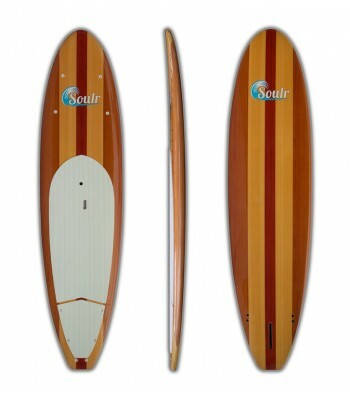 From newbie to expert, the 11'0 Soulr Woody's got you covered! Size 11'0" x 32" x 4.5"